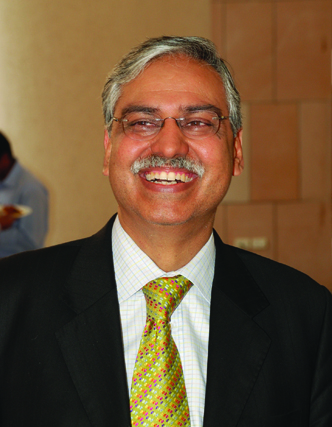 Sunil Kant Munjal, Joint Managing Director, Hero MotoCorp, argues the need for the long-awaited government’s new National Manufacturing Policy (NMP) and writes about the issues related to implementing this plan. Given the easy availability of most raw materials and the relatively inexpensive workforce, the ingredients should have been in place for a sound manufacturing ecosystem in India. Yet for long, manufacturing has been a poor cousin to the service sector, which accounts for 57% of national output. In other Asian countries at similar stages of development, manufacturing has contributed much more significantly towards national GDP, compared to India’s 16%. Finally, the government seems to have woken up to this anomaly and the Union Cabinet recently cleared a policy that includes setting up National Manufacturing and Investment Zones (NMIZ). • Simplified business regulations to help reduce the compliance burden on industry. • An exit mechanism for closure of sick units. This would include a job loss policy where sick units could pay suitable worker compensation in the event of business losses. • Emphasis on vocational education, with “farm to work” and “school to work” programmes for the minimally educated workforce. The initiative couldn’t have been better timed: Industrial output is contracting after sustained monetary tightening as higher credit costs have forced companies to defer fresh investments. The government’s plan is ambitious: To increase manufacturing’s share of GDP to 25%, and create 100 million additional jobs by 2022. In order to see this vision to reality, it is time to translate intent into action. NMIZs should be set up very quickly without any policy adulteration. These zones should operate under a set of laws and rules that are prevalent in other top Asian countries, and not the rest of India. It is equally important to implement GST (Goods and Services Tax) as early as possible. This consolidated tax reform will help spur capital investment by eliminating cascading of taxes. It will also remove trade biases against Indian manufactured goods. Most important, it will ensure free flow of goods through a common market. At the same time, it is important to increase the efficiency of the agriculture sector. Currently, around two-third of India’s manpower is involved in the agriculture sector, and a large segment of this manpower is redundant. With greater agricultural efficiency, there will be a higher flow of jobs to the manufacturing sector. Once NMIZs start attracting investment, generating real growth and creating jobs, it should facilitate a change in the mindset of the political and trade union class, who’ve been the biggest opponents to parts of the reform in the manufacturing sector. To ensure genuine traction for the new National Manufacturing Policy (NMP), it is absolutely vital to liberalise India’s labour markets, otherwise there is a disincentive for industry to create jobs. For this to happen, government agencies, industry representatives and representatives of major unions need to understand each other better. Unions need to be made to understand that flexibility in the movement of labour (through necessary amendments in the Industrial Disputes (ID) Act, Contract Labour Act, Factories Act, etc.) is in their interest as much as it is in the interest of company managements, as it would create many more jobs and make more talent available to the industry. In the recent past, we have taken cold comfort in the belief that India’s manufacturing will never be massbased like China’s; nor will it be capital-intensive like Europe’s or US’s – it will be skill-intensive. Membership intake within unions over the years has declined sharply because there has been a significant decline in the recruitment of fresh workers. Thus, flexible laws on entry and exit of workers would encourage companies to step up hiring, create more jobs, which in turn, would allow unions to increase their base and take a more productive stand. India’s need for its manufacturing sector to grow, prosper and expand dramatically stems from its sheer potential to create multipliers. According to the Asian Development Bank, in China, every 1% growth in GDP has reduced poverty by 0.8%, whereas in India 1% growth has reduced poverty by only 0.3%. This is because India’s growth driver has mostly been services, and not manufacturing. The manufacturing sector scores over the service sector on two counts: first, it has a higher job-creation potential at the lower end of the economic pyramid. Second, the manufacturing sector also provides far more buoyancy to the government’s coffers – both factors are crucial in a developing country such as India. However, for many decades, the lack of government backing has ensured a low position for manufacturing in India’s economic priorities. The state-driven missionary zeal seen for setting up and facilitating global scale manufacturing facilities in countries such as China, Korea, Thailand and Malaysia has somehow been missing in India, even 20 years after the economic reforms. The supportive infrastructure environment for doing business has traditionally been poor. Not only do firms pay a much higher price for power in India than elsewhere in the world, they also face much greater uncertainty of supply. Likewise, despite considerable improvement, the transportation network in India remains unreliable and inefficient. While 57% of goods in India are transported by road – the most inefficient, expensive and emissions-intensive mode of transport – the figure in China is 22%. The time taken, and therefore the cost incurred, to clear the goods entering and exiting the ports and to move the goods between ports and manufacturing sites, which is so critical for assembly and processing activities, is much higher and more variable in India than in the competing countries across Asia. For decades, the policy environment in India discouraged manufacturing activity. Until the 1980s, India didn’t even encourage large scale labour-intensive manufacturing. Large Indian and foreign firms were confined to a positive list of capital-intensive sectors. For the companies even on this list, scale and size was restricted through licensing. These restrictions were removed in 1991, and by the new millennium, most labour-intensive products including toys, footwear, sports goods and apparel were taken off the reservation list. Even for products still on the list, large-scale production has been permitted with an export clause. Yet labour-intensive manufacturing has remained stubbornly unresponsive – especially in assembly and processing activities – because of restrictive labour laws. It is difficult for the firms to even reassign the workers from one task to another. These provisions have not only resulted in very low worker productivity, it has also led to a shortage of skilled manpower in a country with such a large population and high unemployment. In the recent past, we have taken cold comfort in the belief that India’s manufacturing will never be mass-based like China’s; nor will it be capital-intensive like Europe’s or US’s – it will be skill-intensive. We also get enthused that India is creating its own niche in areas such as pharmaceuticals, chemicals, biotech, gems and jewellery, and automobiles. We are hopeful that in these and a few other areas, India could emerge as a global hub. These are sectors where labour costs make up a smaller proportion of total costs and have somehow managed to operate in such an environment. However, the very nature of these sectors means that job creation will not explode, in fact, as production volumes grow in India, multiple locations come up and these sectors have also started facing a shortage of skilled manpower. It is therefore time to face up to the challenge and give the entire manufacturing sector its first real chance since independence to make a mark for itself. Managing Director and Chairman of Hero MindMine Institute Ltd.